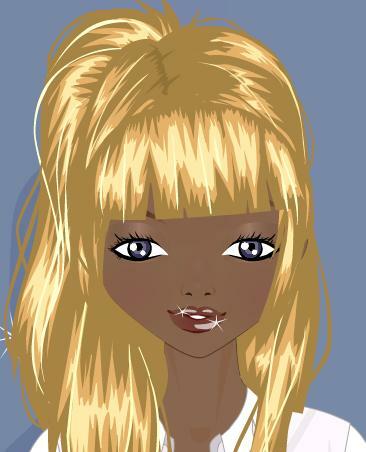 Her dark skin comes from her french side, while the white hair comes from her Japanese side. Ariane's skin is light brown, a slightly dark caramel I guess you can say. After getting bit by a pureblood, Ariane's appearance changed shortly after. Her white hair became a blonde color and her skin darkened a few shades. Ariane first absolutely hated her new appearance cause it looked so much like her mother's old appearance but after hearing a lot of sane people tell her that she looked good she began to not hate it as much as before. personality:RP sample, best way to describe my character's personality is if I write it out. Uniquenes:Has a strong desire to learn, even though she hates school. She can remeber things fairly easy, yet forget them fairly easy too. 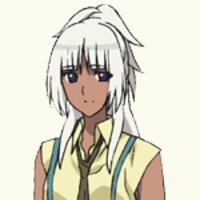 Biography:Ariane is half French/half Japanese. Her mother, Cerise is an Actress while her father, Akimitsu is Vampire Hunter. Like all Vampire Hunter's, Araine was born a Vampire Hunter and was not made to be one. She was trained, to strength her skills and uses a a gun and Battle fan. When she turned 12, her mother was caught having an affair, who happened to be not only a vampire but an ex-friend of Ariane's father. Feeling both betrayed and angered yet again at his friend. Ariane's father killed him and regretted not killing him before. After that he turned his back on Ariane's mother. 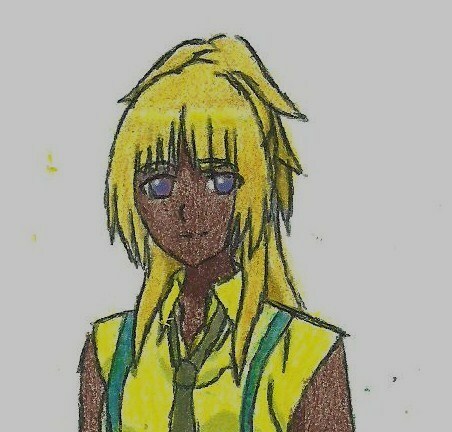 It was then a battle of custody of who should get Araine, it was then decided when she turned 14 that she would be given to Suke, a friend of both Akimitsu and Cerise, who after having Ariane for a month passed away. She was then looked after by the friend's 19 year old son, Ichi. Who had gained most of his father's fortune which included his mansion and was his only child. Then one day became a vampire. A vampire that had wanted revenge on Akimitsu wanted something dear to be taken from him, just like something dear was taken him. The Vampire looked up infomation about Akimitsu and that's how he found out about Ariane. The vampire then carefully planned the whole operation, and when he got inside he found Ariane and Ichi in the music room. Both quickly got up and a battle erupted between them, which ended in a attempt to try to get Ariane, but Ichi got in the way and got bitten instead. Ariane than later got a lucky shot and killed the vampire. 20 year old Ichi, who just so happened to be so smart that he went through school and college quickly and is now starting to become a teacher for the night class at Cross Academy, but first has to go through a few months of training. It was then that Ariane was enrolled in Cross Academy. Ariane had become a guardian later in the year of Cross Academy and a new class prez, dorm prez had been elected. It was around this time that she met a vampire called Clous who she kept on seeing more than once, she also met other vampires too whom she ran into more than once, like Yukio. Along with a few other vampire hunter's who went to the school. During this time there was also chaos beginning at Cross Academy. Later on Yukio and her got a warning from Clous about his twin brother, who Ariane forgot his name. After that she was then attacked while on patrol trying to protect a day class student this attack ended with Ichi getting a near death experince and Ariane having her spirit a bit crushed. Ariane was just hanging out at a cafe after getting her spirit crushed. (Both Ichi and Tomoyo noticed that) She appeared in the cafe, soon after Ichi told Tomoyo that he liked Ariane. Something that Ariane doesn't even know yet. Anyway, Ariane had just ordered a lot of drinks when a strange dude came in and sat by her. Ariane guessing who it was pulled the strange dude, who was still in a chair outside in a alley. After talking a bit, Ariane was then shot within the alley by her own gun BRS it didn't take her too long to figure out what it was telling her and after that she as pinned to a wall by that guy, who was a vampire. Though she had a feeling that this vampire wasn't who he said he was. Soon after that she passed out, something she tried to stop but couldn't in the end. Within her unconciousness she had one bloody dream and when she woke up she found herself in the arms of a vampire and being taken underground and that's where her change began. 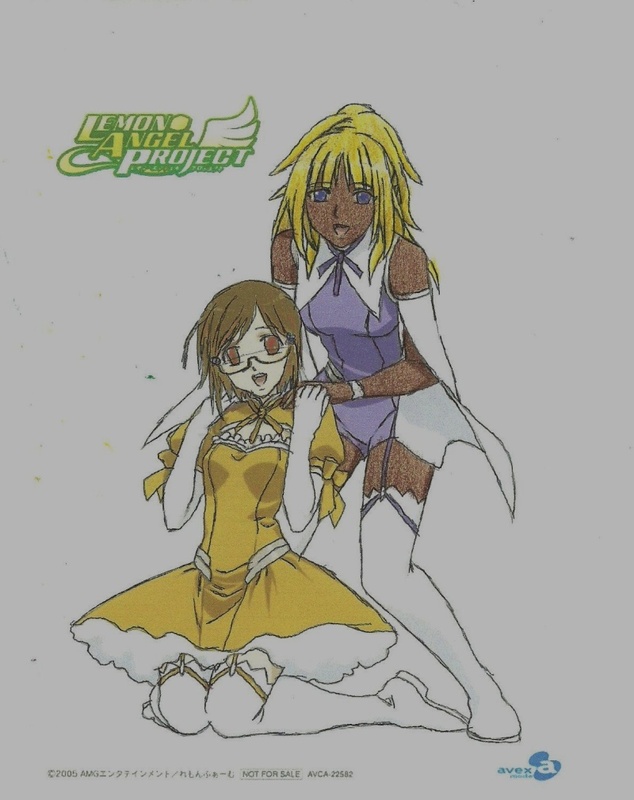 First she was bitten then her hair color changed to blonde and her skin darkened a few shades. 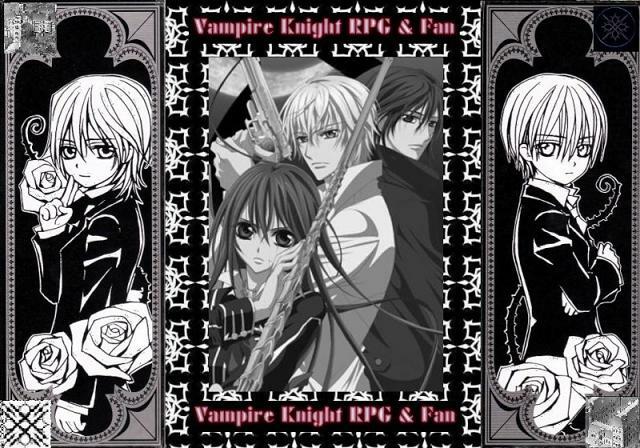 During this time her mentor Akira and Ichi were comming to rescue her when they met a vampire. Some time later, that vampire had went up to surface and Ariane was still below surface and had heard something comming from a alter behind her. She approached the alter and bam! Clous appeared and they then began their trek down the catacombs of the Chamber of Ariadu, a name she defintely could remeber espically when it was a bit close to Ariane. They eventually appeared at the day class dorms, which is where Ariane sees a figure at her window who she guessed it was a father soon after that the world just sped right in front of her and she was in front of her dorm room and opening up the door. After opening it and talking for awhile, the highly expensive window to the dorm room broke and Clous got impaled. At the time Ariane was mostly worried about the results of the broken window, though it didn't take too long for her to start to fully get worried about Clous. By that time she managed to get her father, Akimitsu out of her room and he then came back in only to get lingerie thrown at him and to pass out. (Trauma attack!) And after Clous had left her room she then got to do what she wanted to do for a long time, take a long nice shower and get blood off of her. Ariane had received 3 more weapons, 1 from her father and 2 from her mentor, Akira. She was now used to her changed apperance but still didn't like at a lot. Rp sample: "Ichi-sama! Ichi-sama! Ichi-sama! Ichi..Ichi..Ichi..Ichi..Ichi." Ariane was saying, trying to get Ichi's attention who was busy looking out the window. "Ichi..Ichi..Ichi." Ariane continued to say, but Ichi gave her no reply. Grrr Ariane thought. "IIIIICCCCCCCCCCCCCCCCCCHHHHHHHHHHHHHIIIIIIIIIIIIIIIII!" Ariane screamed. Ichi turned, and not only him but some people from outside turned and looked up at the dorm window. "Hmm? You needed something?" "Yes I-" She cut herself off, she had just forgotten what she said. "Grrr. I forgot! Its all your fault Ichi since it took me so damn long to get your attention." She said. "Sorry." Ichi said as he patted Ariane's head. "What has gotten your absolute attention, which resulted in you not being able to hear me calling out your name?" Ariane asked. "That." Ichi said as he pointed to a girl who had injuries on her face, arms and legs. "I was wondering why hasn't anyone helped her out. Its like, her being there looking like that is ordinary here." Ariane looked out the window and could see that the sun was setting. Most people would be near the Moon dorms at this time, but few remained. Ariane and Ichi has at Cross Academy to know somethings, but there were still stuff that they didn't know, like the injured girl that was now walking toward the day class dorm. Not excatly finished though since I need to add a image of her new appearance. amm one question? do you think i need to revamp my app? Aarón Scarlet wrote: amm one question? do you think i need to revamp my app? Seems fine, and I only remember the general timeline we were gonan work with but not too many details. -shrugs- anyway approved.